Superb bluegrass from this talented quartet - 28 bluegrass '60s recordings from a band up there with the very best! 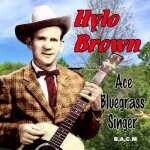 In our opinion one of the all time great Bluegrass/Old-timey performers. Fans may already have Clifton’s excellent Bear Family 8-CD box set (recommended! 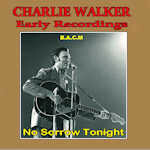 ), but here we have a special treat – 28 tracks he recorded in New Zealand in 1970 with a superb NZ bluegrass band. In great voice, with a nice variety of songs, mix of old-timey, bluegrass and country, several featuring his trademark autoharp breaks! This features A-team musicians led by Kelso Herston, legendary producer (of George Jones, Merle Haggard, Buck Owens etc) and guitarist (session man for over 200 artists). Other players include Jerry Kennedy on dobro, Rual Yarborough and Herschel Sizemore, both switching between banjo and mandolin; and the great Tommy Jackson on violin. Plus superb lead- and harmony-vocals; nice set of classic bluegrass tunes. Exhilarating collection of rootsy Bluegrass and Bluegrass-style music, mainly from the King catalogue. Artistes featured include Reno & Smiley, Wade Mainer, Jimmie Martin & Bob Osborne, Grandpa Jones and the great Jimmie Skinner. Some great performances. 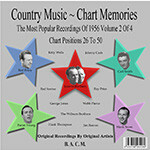 27 early 1960s recordings from these talented singers / musicians; many traditional songs, some in Bluegrass style. 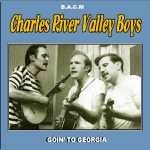 CHARLES RIVER VALLEY BOYS Goin’ To Georgia. BACM CD 503. Talented bluegrass group, whose core members were not from the Appalachian outback but rather a bunch of Harvard students/ graduates who rode the crest of the 1960s 'Folk Revival' which was bringing bluegrass to new, urban audiences; here with some of their earliest recordings from the early 1960s, refreshing takes on a mix of old timey classics and songs from the core bluegrass repertoire. Some brilliant musicianship (guitar, mandolin and banjo) and fine vocals. Includes bluegrassy interpretations of two classic Jimmie Rodgers songs, Waiting For A Train and Way Out On The Mountain. A local legend among California country fans but never much promoted elsewhere, Chester Smith was a superb country singer who performed and recorded with an impressive band of top musicians, cutting some great recording well deserving to be brought to new audiences. Our CD features 23 tracks recorded between 1953 and 1959. Our country gospel CDs are among our most popular, always resulting in requests for ‘More please’. So we’ve put together this selection, all tracks issued on Rusty York’s Jewel label and recorded 1960/61. Total of 36 tracks, many with a bluegrass flavour, a superb hour of fine country gospel music, much deserving of being preserved and heard by a wide audience. Bluegrass at its very best from this musically talented duo with a 1952-57 selection of traditional and gospel songs and some virtuoso instrumentals. 27 gospel songs done in bluegrass style from this authentic pentecostal preacher - all but three of this selection were his own compositions. 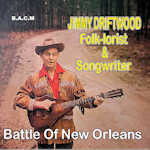 Nowadays forgotten other than by a few bluegrass collectors he was a prolific songwriter who learned guitar, banjo and harmonica at an early age, had his own radio show (as "Kid Martin") at 20 and for a time played on radio with Bill & Cliff Carlisle - then turned from hard drinker to preacher. This CD celebrates the recordings made by this individualist singer/guitarist/songwriter across a 10 year period from 1953. Raw, gutsy vocals with hints variously of Jimmie Skinner, Hank Williams and Ernest Tubb, all these songs are own compositions. 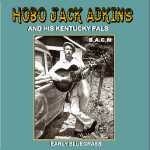 Nowadays his songs are better known by other artists including Alison Krauss and Ricky Skaggs. 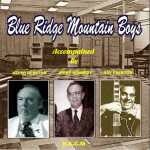 This fine group bridged the gap between Old Time and Bluegrass, as these 23 recordings from 1935-39 show. 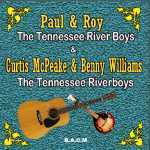 29 recordings of excellent mandolin and guitar based bluegrass gospel from this great duo, recorded between 1958 and the early 1960s. Rivaling the great brother duos (The Louvins and Blue Sky Boys etc), these brothers-in-law started out bluegrassy and then took on a variety of other styles, well showcased in this 28 track CD of 1940s/50s recordings. 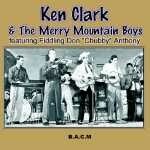 Another forgotten talent, the great bluegrass musician Ken Clark who laid down some 40 superb recordings on the Starday label in the late 50s, several featuring the legendary Don “Chubby” Anthony on fiddle. 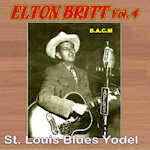 Celebrated in this 29 track selection, all of the songs composed by Ken himself – his compositions were recorded by Bill Monroe, Cowboy Copas and The Willis Brothers among others. Thanks to collector Jerry Steinberg for many of the tracks. North Carolina born brothers - Zeke on mandolin, Wiley on guitar - with 24 songs recorded 1938-1945 include Zeke's classic "Salty Dog Blues". 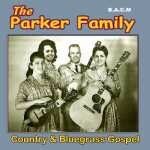 One of the most popular ‘traditional country’ family groups in West Virginia post WWII were Rex and Eleonore Parker who, later when performing with their two daughters, became known as the Parker Family. They never strove to hit the big time nationally, preferring to maintain their success at the regional level. From 1959 onwards they began to focus on gospel music, regularly appearing on the weekly Songs For Salvation show and cutting several albums with the same title and BACM have compiled this selection from those albums. Appalachian style gospel at it’s best, their sound often echoing the Carter Family. There has long been much confusion amongst collectors arising from these two groups, both doing fine Bluegrass and using the same name. Paul (Boswell) and Roy (Pryor) were both registered blind and played guitar and mandolin respectively, recording on Mercury and Pace. 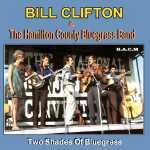 The other pair, Curtis McPeake (5 string banjo/guitar) and Benny Williams (fiddle, guitar, banjo, autoharp, and mandolin) were both sometime members of Bill Monroe’s legendary Blue Grass Boys. 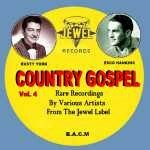 An interesting crossover between Old-timey and Bluegrass but all with a commercial leaning, this husband and wife team produced some great authentic country music as evidenced by this selection of 22 tracks recorded between 1949 and 1955.